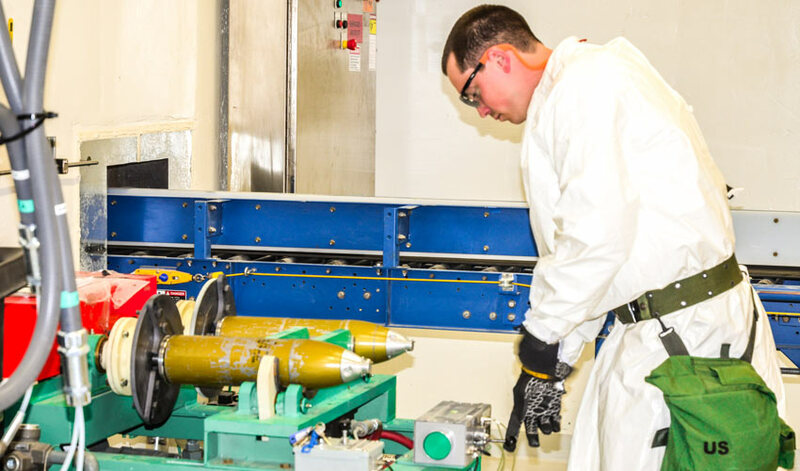 A Pueblo Chemical Agent-Destruction Pilot Plant ordnance technician removes the rear assembly of a 4.2-inch simulated mortar round with the twin spindle removal machine. 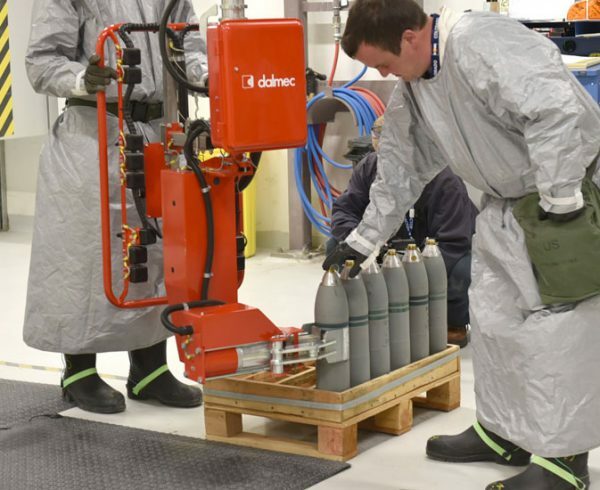 Pueblo Chemical Agent-Destruction Pilot Plant ordnance technicians began training to reconfigure 4.2-inch mortar rounds Feb. 26. 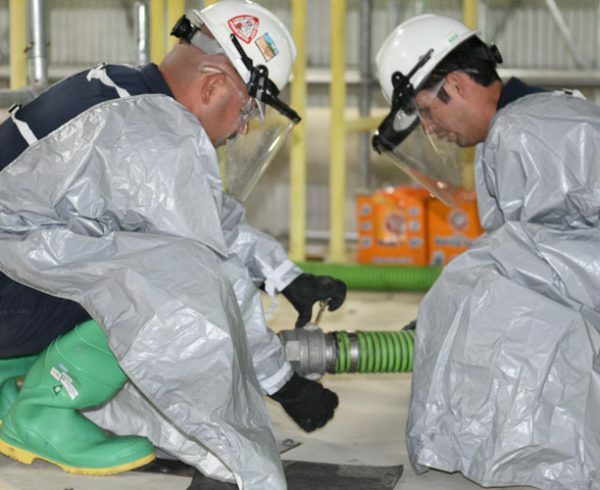 ACWA Test Equipment has the look, weight and feel of real chemical rounds, but does not contain explosives or chemical agent. 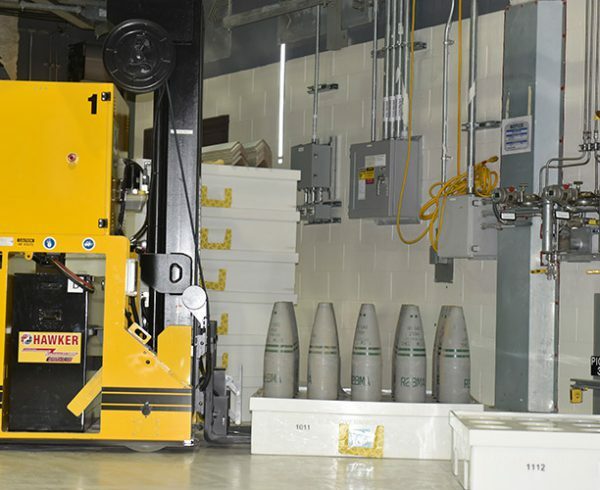 More than 97,000 mortar rounds are in their original packaging and will go through baseline reconfiguration to prepare them for processing by the plant’s automated system. After the mortar round is taken from its shipping box and fiberboard tube, components, including a striker nut, ignitor cartridge, propellant retaining clip and propellant wafers are removed. The mortar round is then placed in the twin spindle removal machine where the pressure plate, pressure plate nut, cartridge container and rotating disc is removed. It is then placed on a projectile pallet and the round is considered reconfigured, Torres said. “I’m excited to move on to 4.2 rounds. 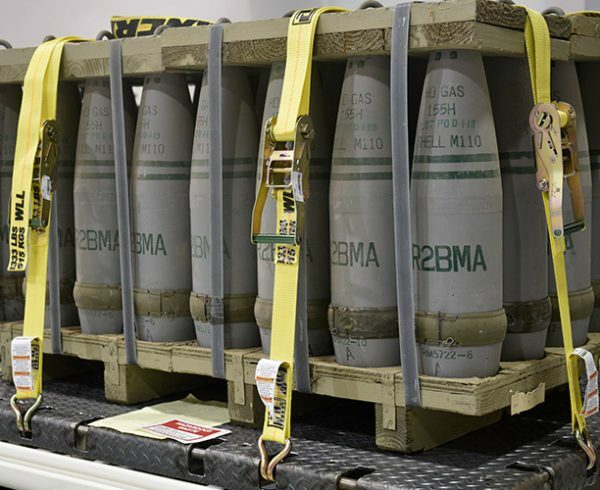 We’ll start off slowly and take our time to make sure we have the process right,” said Paul Gonzales, ordnance technician. 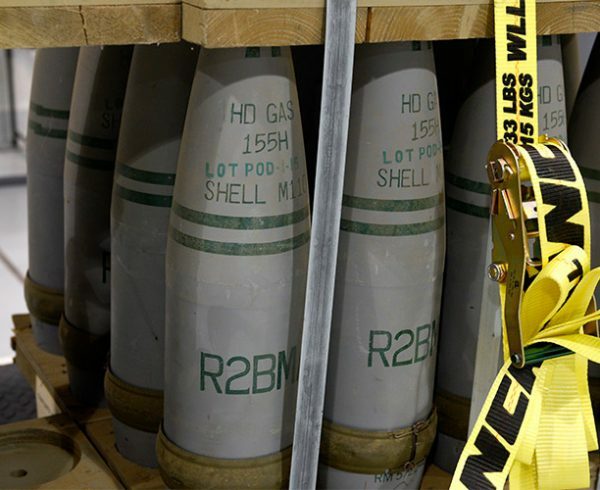 Training is expected to last three weeks and the reconfiguration of actual mortar rounds is scheduled to begin in April.